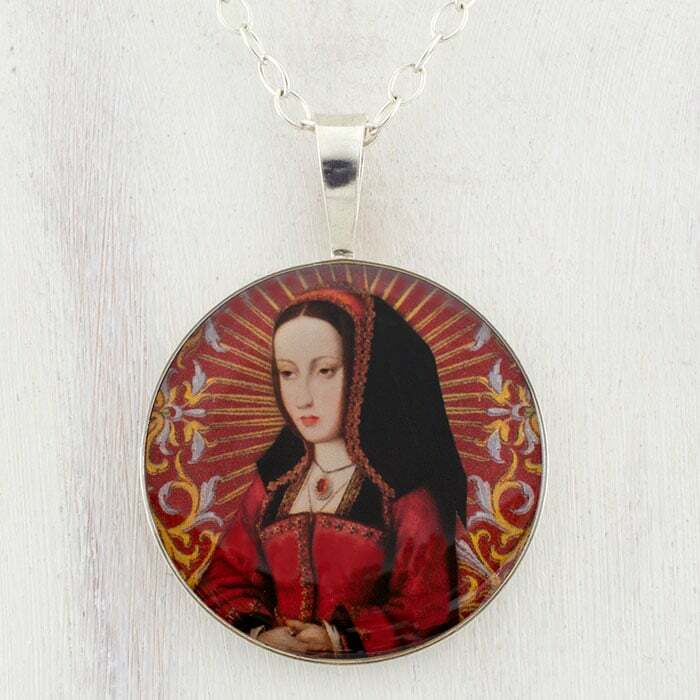 This beautiful, unique and collectible pendant features a collage by Tiffini Elektra X of Juana (Joanna) of Castile, sometimes referred to as Juana la Loca (Joanna the Mad). 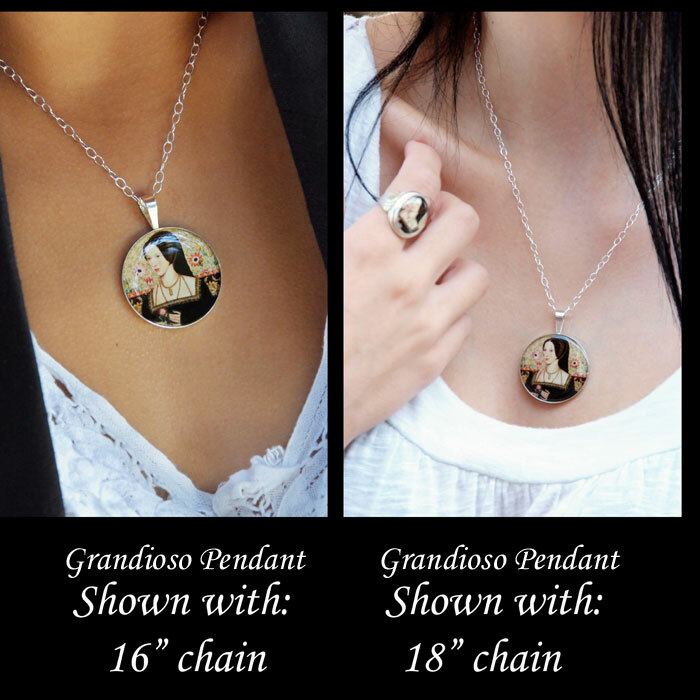 Each sterling silver pendant comes complete with a 16" sterling silver oval cable chain (other chain lengths available). See "More details" for images.